The software allows to preview the ODT Files either it be helthy or damaged. It can also be used to repair the corrupted ODT Files. The ODT File can be saved into the Rich Text Format(.rtf) file which can further be saved as doc or docx file. During the conversion process , no changes are made to the contents of the ODT file. Thje formatting of the document remains the same even after the conversion to rtf. ODT is the default file format of text documents written in the Open Office Writer similar of Microsoft Office Word . If you want to change your word processing environment (OpenOffice Writer to Microsoft Office Word) or repair corrupt ODT filesthen don't hassled ! 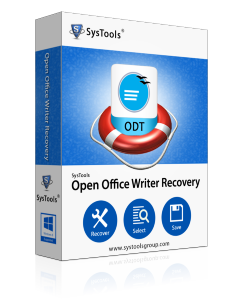 Get Open Office Writer Recovery software and repair corrupt or damaged ODT files or convert ODT files into RTF files which is successfully open with Microsoft Word and then you can save as your .RTF files into .DOC files. Open Office Writer Recovery software is a fantastic ODT file recovery & Open Office Writer to Word converter tool to repair Open Office documents which gets corrupted or damaged and convert Open Office Writer to Microsoft Word (.doc) files which can be opened with Microsoft Office Word. ODT to Word file converter software does not require Open Office installed on your PC. The file "****.odt" is corrupt and therefore can not be reopened. Should OpenOffice.org repair the file? Repair OpenOffice Writer files which gets corrupted or damaged. Successfully convert ODT file into Doc files and RTF (Rich Text Format) files. OpenOffice ODT reader software have attractive GUI and well user guides. Software successfully runs on Windows 98/ME/NT/XP/2000/2003 & Vista. Step 2: Preview the ODT File. Step 3:Select the option to save as .rtf or .odt. Can I recover my corrupt ODT file with this software? Yes, you can recover corrupted ODT files and also save it back either in ODT or RTF file format. Does the software generate an instant preview of entire source documents? Yes, Open office writer Recovery software is capable to repair damaged ODT files and generates an instant preview. Is there any ODT file size restriction with this tool? No, this tool permits you to repair any size of ODT file without facing any technical trouble. Does the software needs installation of Open Office Writer? No, this software does not require installation of Open Office Writer for recovery purpose. I was exhausted from the other tools for repairing converting my ODT file to Word. Moreover, I came across this software that works without any need to install Open Office writer. Now, I am able to accomplish my task by using this tool. I will recommend it to all users those who might face this type of issue. Generally, ODT are not used by many users therefore it was a little bit complex for me to find a solution that can recover it. However, one of my friends suggested me to use Open Office Writer To Word tool that was a great solution to solve my problem. A huge thanks to the developer team for providing us a great tool.